Aubriella wants to be just like mommy. 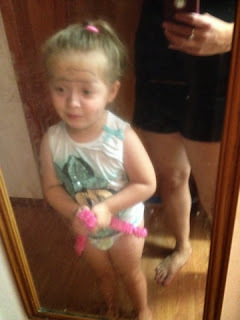 She wants to get ready for work with mom and do her own make-up. She is allowed to have an eyeliner pencil and she has her own brown eye shadow with brush. 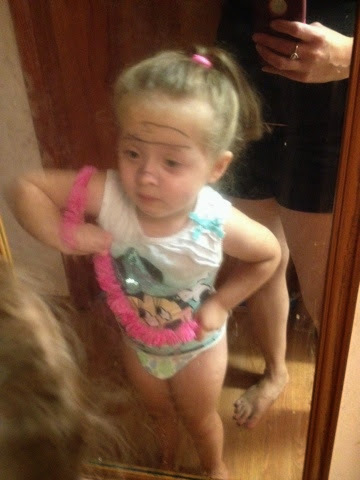 She hasn't learned exactly where the make-up goes besides on her face. 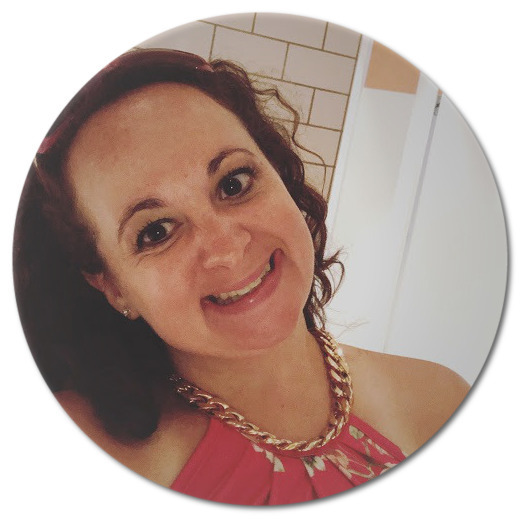 She at time makes herself look like a cat with a black nose and whiskers. 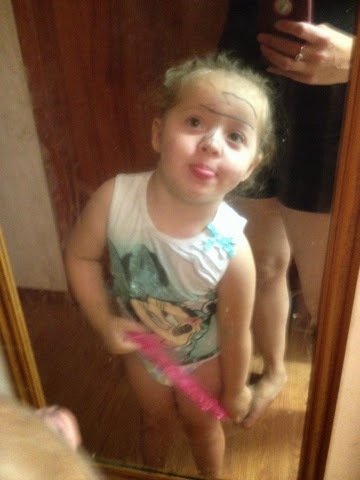 Other times she just has weird make-up everywhere.